Steam the sweet potato for 7 to 8 minutes, until soft. Remove from the steamer and cool. 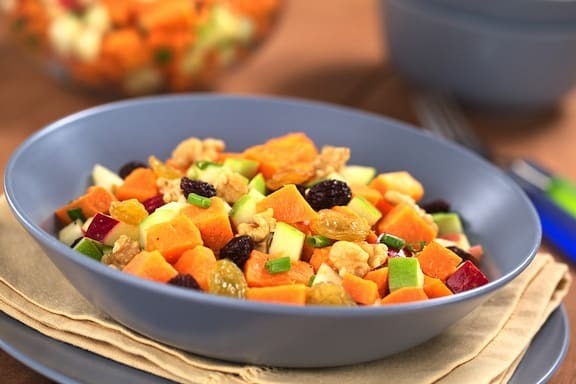 Cut into bite-size pieces and put in a medium bowl. 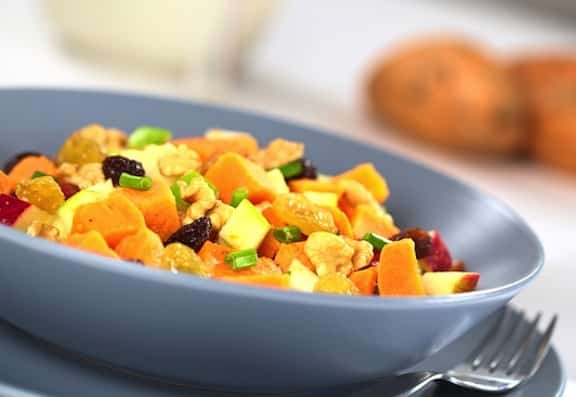 Add the apple, pear, celery, nuts, optional raisins, and mayonnaise, and toss well to distribute the mayonnaise evenly. Garnish with the chives and serve. Zel and Reuben Allen host the popular, long-running webzine Vegetarians in Paradise.